Serving all of Beaufort County Call Us Today! Fill out the form below and we will contact you about an estimate. 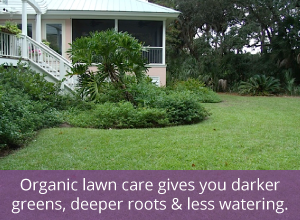 Coastal Organic Lawn Service has been in business since 2016. This company was spun off of 20 years of experience in lawn care, plus 8 years in the organic lawn fertilizing business and what I have learned over the last 8 years, getting impressive results, is evidenced in our photo gallery. With the new trends toward safer land management due to new scientific evidence, it is necessary to do our part to contribute to the growing concerns for human and wildlife health and well being, as well as our environment. Beaufort County is 35% water and at sea level. Considering the number of golf courses and residents using chemicals, our beautiful water fowl and aquatic life are at risk. 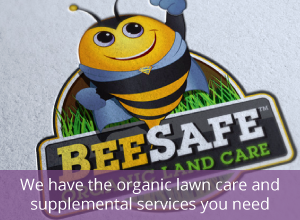 Our no nonsense affordable system is the ideal choice because it is not only effective at improving the condition of turf and vegetation, it is also cost effective. We look forward to serving you. Water less, mow your lawn less. No pollutants, no chemical runoff. Improved nutrient availability to vegetation. Turf and shrubs tolerate stress better. Balances soil condition & saves you money!